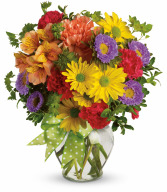 Make someone's day - send them this cheerful mix of flowers. Yellow, orange, purple, and reds combine to radiate happiness! Substitutions made when necessary. 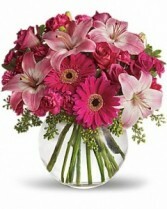 Photo used with permission by Teleflora. 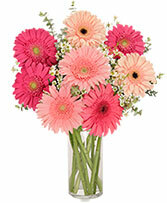 Give daisies galore with this bouquet of hot pink, light pink, and peach gerberas with white waxflower! 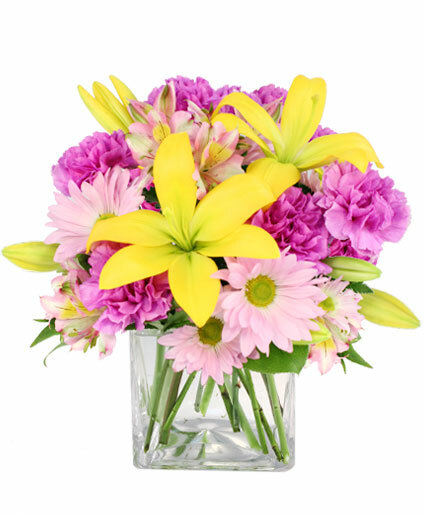 Show them some love, send flowers today! Substitutions made when necessary.